Is there a better alternative to DrawDown? 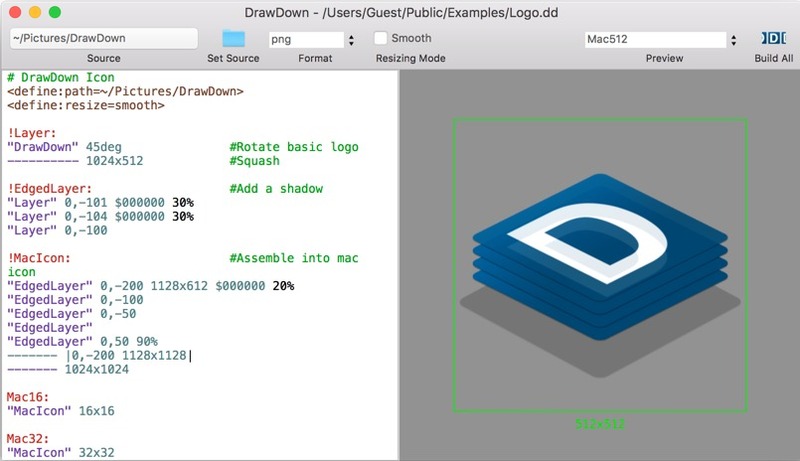 Is DrawDown really the best app in Developer Tools category? 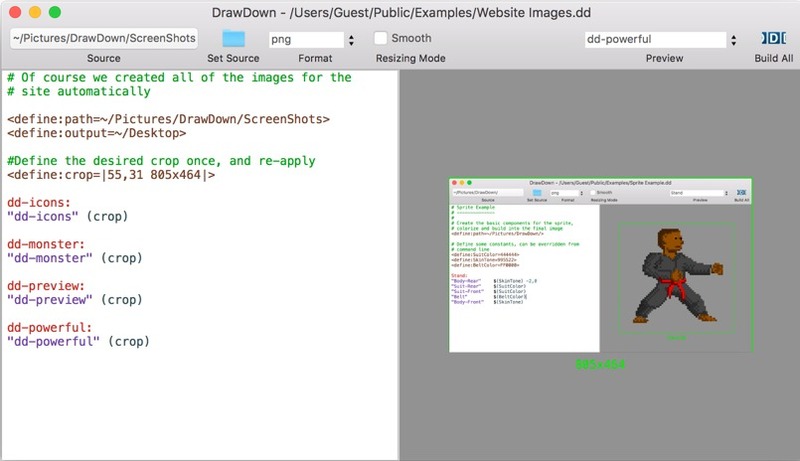 Will DrawDown work good on macOS 10.13.4? DrawDown needs a review. Be the first to review this app and get the discussion started! DrawDown needs a rating. Be the first to rate this app and get the discussion started! 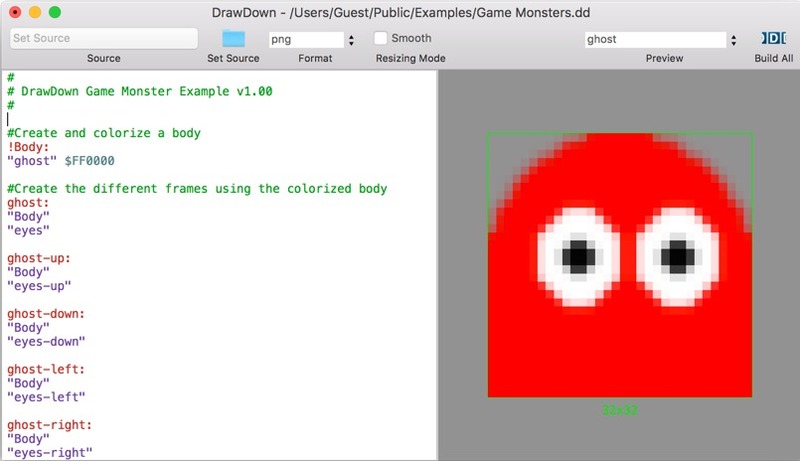 DrawDown was inspired by John Gruber's Markdown, and has very similar goals: create a human-readable plain-text format to create rich output. Of course images are not like text, so the format respects the domain. Think of it as a plain-text Photoshop. 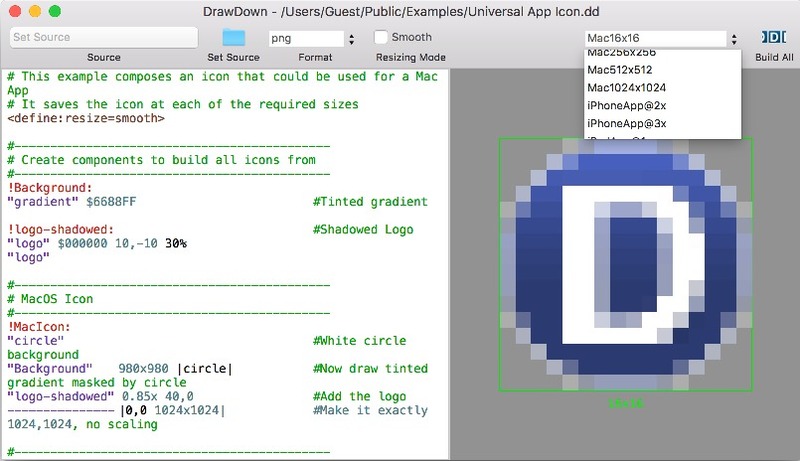 There is a free command-line tool available, but the DrawDown app is an interactive editor. Because I need to eat, and because editing images is a visual task, DrawDown is available to buy. 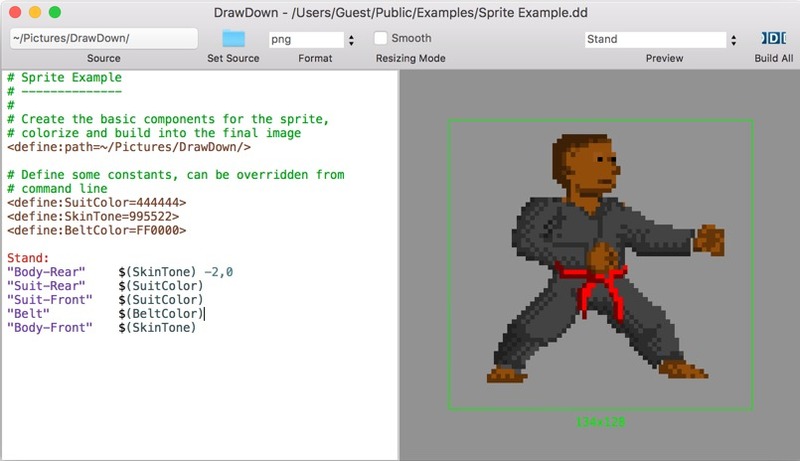 It lets you see what you are building as you build it; when you're done, generate the images directly from there, or refer to the file in your scripts. Simple. You can demo the app before purchasing.